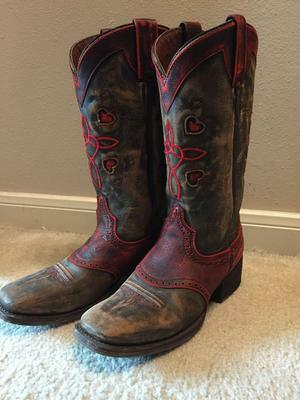 I am selling my American Rebel Boot Company boots. I wore them once for a wedding and will not wear them anymore. They are nearly brand new! They are cinnamon red and with tan. The soles are leather and are a size 6.5. I am asking $125 and paid over $250 for them.